This book is an unusual one in terms of source material, since it is the conversion of an improvisational comedy/fantasy webcast into graphic form. Then it gets weird. 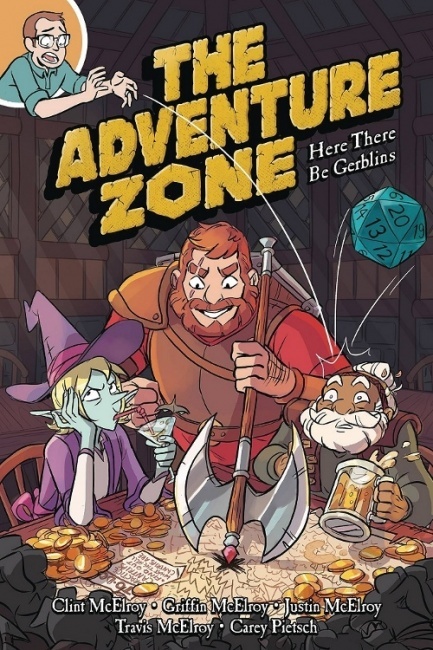 In this case, a father and his three sons do a webcast of their fantasy role-playing game, and this graphic novel is based on that. The characters are funny, twisted, and not very bright, which lends itself to the style of comedy very nicely. 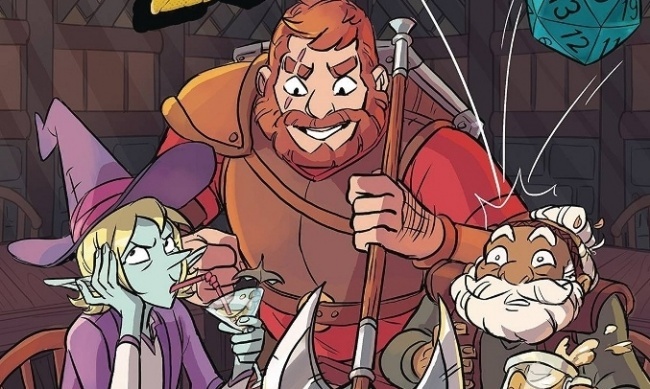 Humorous takes on adventure fantasy have been around for a long time, but more heavily since Dungeons and Dragons brought in a lot of fans who weren’t taking the idea of adventure fantasy very seriously. This book, no matter the source material, is a good, fun take on the concept. It may take readers a few tries to get into the mood, as the "dungeon master" character can be an annoying interruption at first, but as the tone of the stories becomes more familiar, that becomes part of the humor. On the other hand, some of the clichés may also be annoying after a while. The style of humor may not appeal to everyone. On the other hand, the story also includes things like critiques of racism, arguments in favor of thinking before you act, and a dwarf setting himself on fire with a magic item. No, really, all three in the same story. The artwork is cartoony, but it fits the story nicely. Other than a few issues of Lumberjanes, I wasn’t familiar with Carey Pietsch, but will look for more of her work. The book is written for older teens and adults, and includes some ongoing profanity, along with lots of cartoony violence.